Have you ever opened up a package and realize that there’s something in it besides what you ordered and the invoice that little piece of magic is called a package insert. The package insert is a little something extra that the retailer has stuck into your order to initiate a sort of goodwill between you and the brand. Package inserts are great because not only is it unexpected but it is usually advertising or serving as a deal/coupon for your future interactions and purchases with the brand. The best thing about it is, you as a customer do not have to pay for the packaging insert. The brand is still able to communicate with you without bombarding your email account or flooding your social media feed with messages. How can your hair business benefit from this practice? Oh in so many ways! From advertising new sales to showing off new products, the package insert can go to your target customer who is already purchasing hair extensions from you to guarantee you more sales from the same people. It will help you foster a loyal customer base and a steady stream of sales. Keep reading to find out the different ways of how you should execute your packaging insert. With so many small businesses going e-commerce, it is hard to believe that more business owners are not taking advantage of packing inserts. This is particularly true in the hair and beauty industry where e-commerce is now the norm for raw hair and processed hair alike. 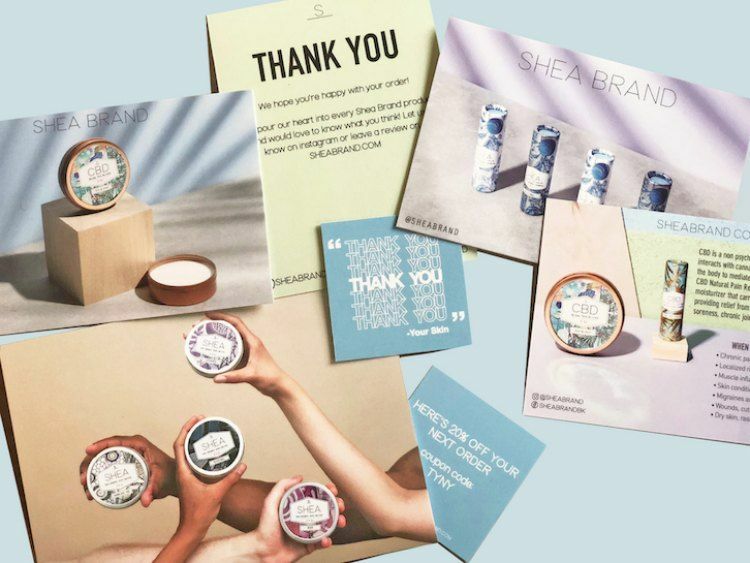 Using this frame of thinking, you can agree that using package inserts will differentiate your brand from the average hair company that does not want to invest in packaging inserts. Not only because you are giving your customer something, but because you are working to exceed their expectations. Think about it, most e-commerce orders will fail – that’s just the reality of business. You somehow managed to ruin your customer’s order by leaving out a bundle or a closure, replacing the closure ordered with a frontal or just flat-out getting their order wrong. This won’t happen to every order, but it will happen to some. Being a human means that you will either fall short of, meet, or surpass your customer’s expectations even when it comes to things out of your control. If the post office arrived at your office late and the package doesn’t go out until the next day, or the post office forgot to scan the package and your customer is left wondering whether their hair extensions are on the way, as a business this is a fail. Right or wrong that’s just how things go. However, package inserts serve as a “save” to make up for these order failures. They help you make up for mistakes when you slip up, and they help you to go above and beyond when you’ve packed everything just right. Packaging inserts can be low-cost: You don’t need to invest a lot to bring packaging inserts into the mix. Packaging inserts can start as little as pennies on the dollar! And, if you are handwriting your notes, you can even avoid printing costs. Each of the examples below is low-cost but can yield a high return. Inserts are used to target specific customers: Use the package insert as a means to talk to your customer and initiate a line of communication. Why wouldn’t you? The recipient is already a customer, so that means you know what they bought! You can add a package insert into your package and can tailor your package insert to the exact person receiving it. 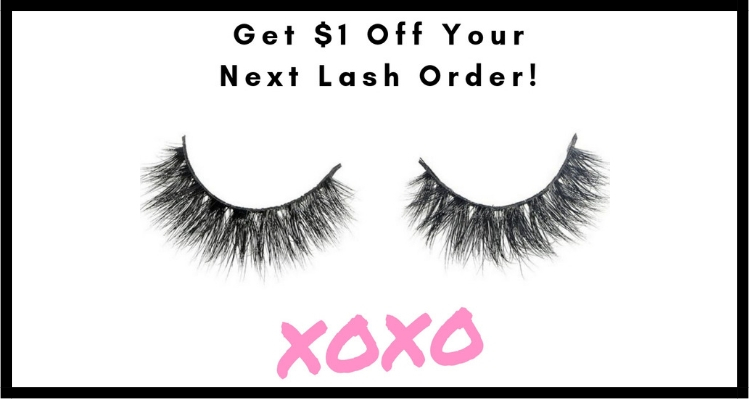 For example, you can insert a $1.00 off lash coupon into the package of a customer who frequently purchases lashes to show them that you are already anticipating them to come back! The cost of delivering the message is the least of your worries! Why? The package is already in the mail, a small piece of paper will not offer the set price of shipping for your package so get your money’s worth and market your hair business! Package inserts are perfect for cross-selling: Because you already know exactly what your customer likes, you can add highly targeted cross-sell opportunities. Use package inserts to upsell your consumer’s future purchase and increase your average order revenue! Package inserts are a great way to liquidate merchandise: While most people think that product inserts have to be a small piece of paper – that is not the case. You can turn your slow sellers or hard-to-move merchandise into a package insert and then insert that inventory cost to a marketing expense. A technique like this will not only bolster your relationship with current customers, but it is cutting you a break with your business taxes (hello win-win!). A great example of this would be mini-edge controls. If you aren’t able to convince your customers to purchase a mini edge control sample after you bought a bulk amount at the wholesale price, stick one in a package to an existing customer. 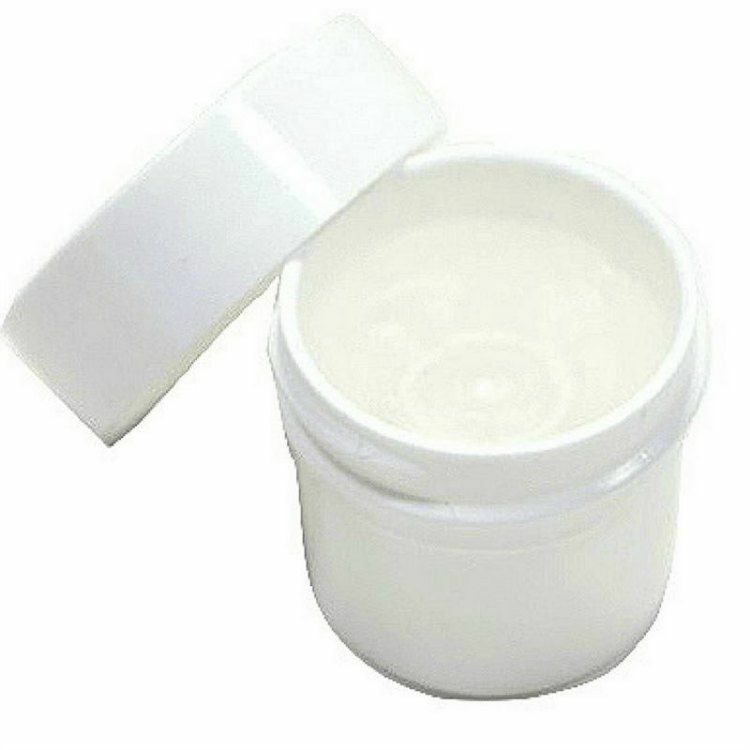 You can then use it as a product sample to sell your larger tubs of edge control. The right inserts increase loyalty: Customers are more likely to return to a brand that appreciates them when you offer an exclusive sale to a customer or a percentage off with a coupon that only a customer can receive. It shows that you not only appreciate the customer’s business but their dollar as well. That is how packaging inserts succeed in helping your customers feel special. You may think that the idea of package inserts can be pretty cut-and-dry and they are. So why not do it the right way and create inserts that will stand out and inspire your customers to shop with you again? Did you know that the discount offer is the most popular type of package insert? I know this is what you were thinking about when you first read the title of this post. However, these days it seems as if a lot of companies have left discount offers to their mass email campaign, which can be convenient for the business, but also leaves the emails vulnerable to never being open! This is a fail! If you want Your customer to get a discount, then you should create a coupon and insert the coupon when packing their order. This will allow your customer to receive the discount tangibly in their hands. Do this when you deliver the package insert by mail in a purchase they have already made. As an online beauty brand, you can spice up the look of your package inserts by creating several types of packaging inserts to drive customer loyalty. You can do this by playing around with your brand’s color scheme. You can also play around with the price margin to figure out what discount will show your customer that they are saving but will enable you to continue to profit at the same time. The best companies insert multiple discount package inserts in one package at a time. Another strategy would be to include two discount cards with each purchase, one for the purchaser and one for the purchaser to give away to a friend. Also, try to test out different types of offers to see which one your target customer uses. If you are wondering, one of the cheapest ways to print tangible discount or deal offers to go out with your orders is to print them at business card size (business cards are always on sale…..and we mean ALWAYS). As we previously alluded to product samples are an amazing way to take part in the package insert strategy. It is a win-win if you can link up with a vendor that provides you with cheap sample size products. This is also a great way to communicate with your customers without spending too much of your profit. Samples also help you to cross-sell and provide your target customer with an introduction to new products that they either would never try on their own or are too scared to purchase for fear of product performance. 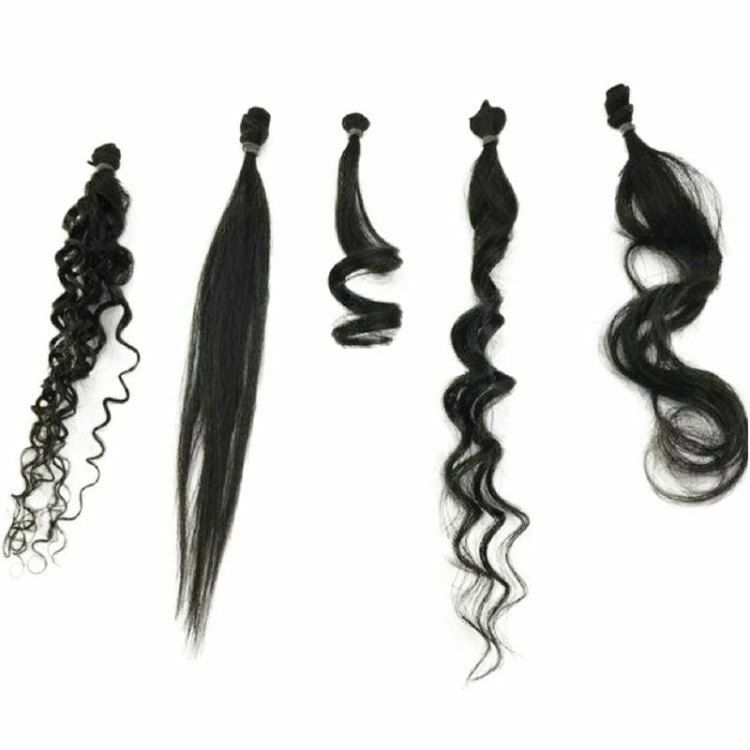 For example, if your vendor is running a sale on a certain type of hair type, and you do not offer that to your customers currently, you can purchase a bundle at a discount price and then cut the bundle up in 2” wefts. Share that in your customer’s packages so that they can test it out with their styling techniques. Techniques like this will create a different buzz around your brand and give you word of mouth advertisement that is exceptionally vulnerable even in this digital age. A small gift and simple kind of go hand-in-hand but a small gift will light your customers world on fire. Think about including in a cheaper lash option with your customers next order. This way your customer doesn’t think that you’re trying to be too salesy, but at the same time you’re introducing them lashes that they may not be aware of. The key to this technique is that the gift does not have to be expensive. We are not sacrificing profit with any of these options. Your customer is not expecting anything extra the majority of the time so anything that you offer will be appreciated and cause them to think twice when they are checking out for future purchases. Small brand centered gifts like stickers in a glittery font can definitely do the trick. These small yet affordable giveaways will give your customer a smile and make them feel special. It also puts the law of reciprocity to work for you. A free gift that comes at a surprise serves as a powerful psychological trigger that leaves customers wanting to return the favor. That is the definition of loyalty, and it can help create the cause and effect chain of repeat purchases and communication with the creation of goodwill. 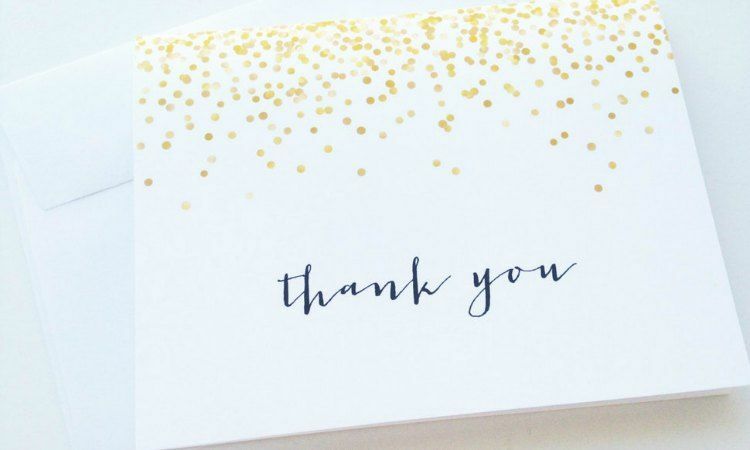 My favorite, and perhaps the simplest, and most personal package insert you can add to customer packages is a handwritten thank-you card. Who doesn’t love a handwritten note to remind them of human interaction? A simple card can be a thoughtful gesture that can help build loyalty. Cards or stationary could really do your business justice when you are first starting to send out packages. It shows that you’ve invested in communicating with your customers and saying thank you, so it makes the gesture a competitive advantage. Unfortunately, smaller companies are the only ones that think of that gesture traditionally because it is not time effective for the more larger-scale companies and they can no longer use the tactic. With that being said – Use this to your advantage. 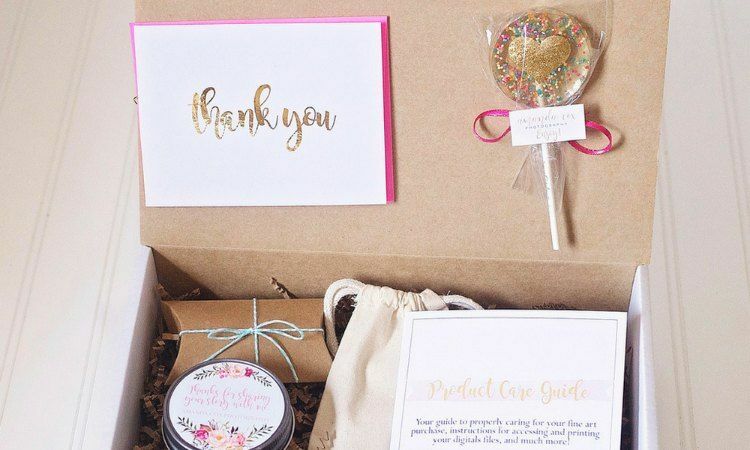 One great example of a personalized packaging insert would be in insert a handwritten note from you as an owner, or even a hair stylist that works with the company that gives customers directions on how to treat the product along with a thank you! Advising how to get longevity from the product is a great way to thank the customer. Use quality stationery. You can normally find some on sale at TJ Maxx. 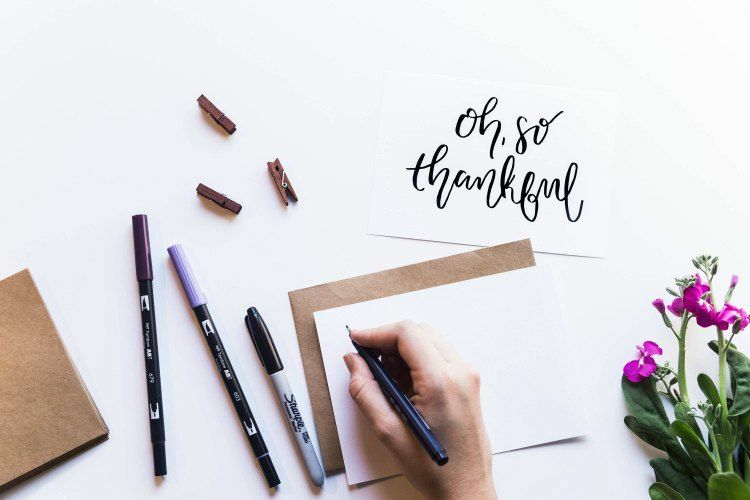 Express your gratitude and clearly state the reason for sending the note. Thank the customer for the sale and spending their dollar with you. Write a quick description of how you’ve enjoyed your experience with this customer and state why the customer will enjoy the product. Allude to your future interactions with the customer and provide care tips or a number of usages the customer can get from the product. 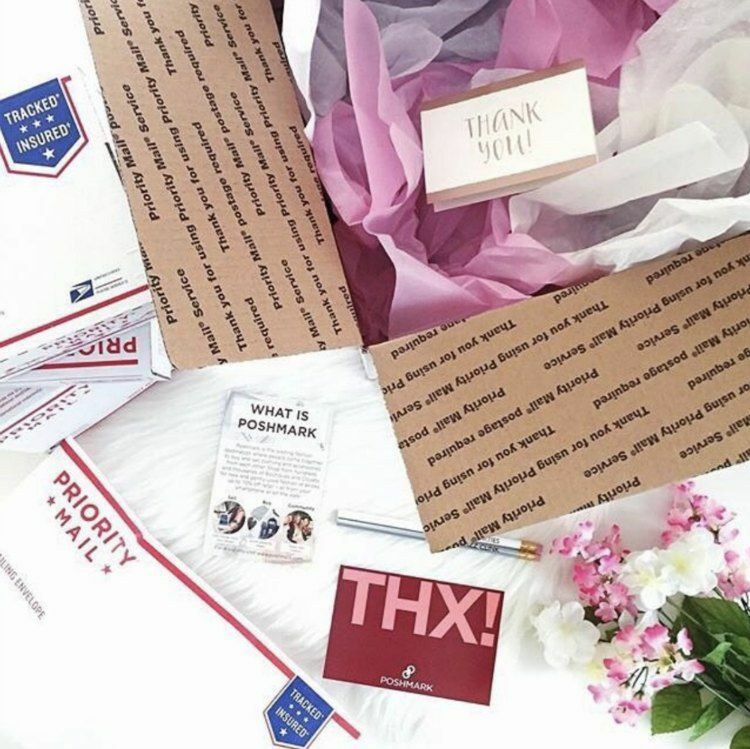 Since social media is key, you can use your package insert to request that your customer leave you a warm review on their social media platforms. Make sure to also request that they tag your company! This will not only boost your awareness to your customer’s audience, but it will also enable you to pop up in the feeds of people searching relevant tags. Motivate your customers to post your brand on their social media accounts by letting them know you will re-post their images on your feed as well. If that doesn’t work, then offer them a small discount to comply. Offering this discount until your social pages are popular enough for the exchange of a post makes your customer want to post you! The key here is to make it an exchange and increase your communication with the customer to create loyalty. All in all a package insert should be used to not only inspire your customer to purchase from you again but to provide your customer with value. As long as you match your package insert wish the customer type that you are communicating with you are on the right track to creating an effective package insert. Remember – business is a relationship which means it gives or takes. Your customer will give you their hard earned money to not only take products from you like hair extensions and lashes, but they will also want to take away a value that you provided and buy into your brand. 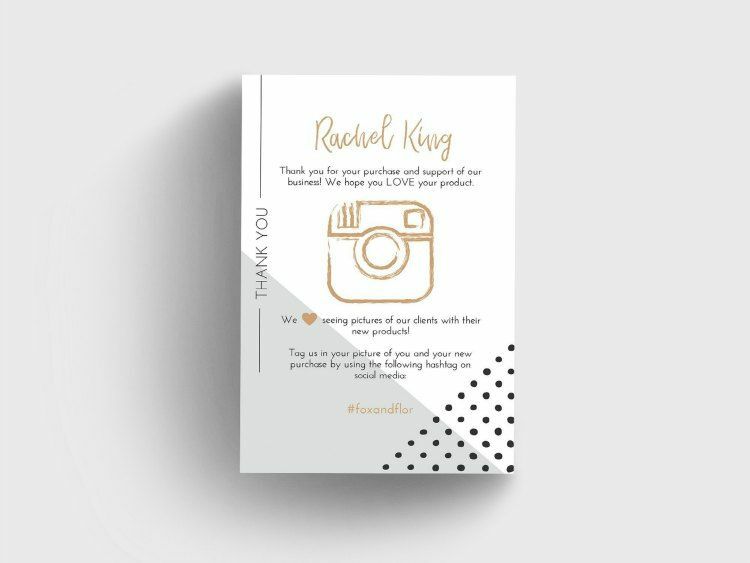 If your brand is a lifestyle brand pushing beauty, you should give them the idea that you want them to continue to look good and to do that they need to buy from you. So why not provide them with an extra incentive to do that? Would you consider creating package inserts to increase your customer loyalty and revenue? Drop us a comment to let us know how you want to execute this marketing strategy!